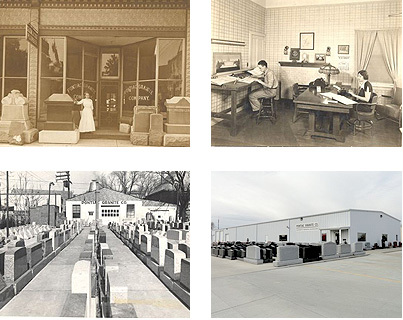 Pontiac Granite is an employee-owned business operating out of Pontiac, Illinois since 1901. We have the experience and equipment to give you a lasting memorial that will capture memories and preserve history. We work exclusively with granite memorials. So all our energies are focused on this craft and our products show it. We have a wide variety of design templates for you to choose from. We can also create custom designs, if you have a vision all your own. You can read more about our services or visit our gallery let our quality workmanship speak for itself. We have recently moved to our current location to allow for more onsite work and to accommodate our growing business. We have been successful because of our outstanding quality and personal attention we give our customers. At Pontiac Granite, you will receive the best personalized service to make this part of the process as simple as possible. We understand how important selecting the right memorial can be, so our experts are prepared to help you make an informed decision. We are a Rock of Ages granite, a premier supplier, and have used their outstanding products since 1932.